By allowing your clients, customers and partners to access data and aid in recovery and backup, you’ll be able to finish projects more quickly and reduce wait time to as little as 15 minutes. All this is completed with the new Veeam Availability Suite, which provides high-speed recovery, data loss avoidance, verified protection, leveraged data and complete visibility. 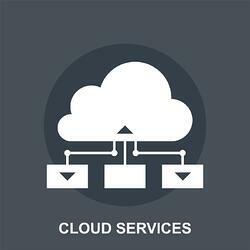 Check the comparison of cloud services between this new technology and legacy backup solutions such as Symantec Backup Exec 15. Veeam was founded in 2006 and currently has 34,500 ProPartners plus more than 168,000 customers worldwide. To learn more, visit www.veeam.com. If you’d like assistance with comparing cloud services and keeping your business activities up and running 24/7, we would love to help! Visit www.WEI.com for more details and check out additional tips and tricks on our blog.